The HP PSC 2355p is a printer with which you may not be overly familiar, but there is plenty to be discovered where this little gem of a printer is concerned. The HP PSC 2355p has plenty to offer anyone who is seeking high quality home printing, so, in a bid to help you better get to grips with this item, here is a brief review of the finer features of the HP PSC 2355p. 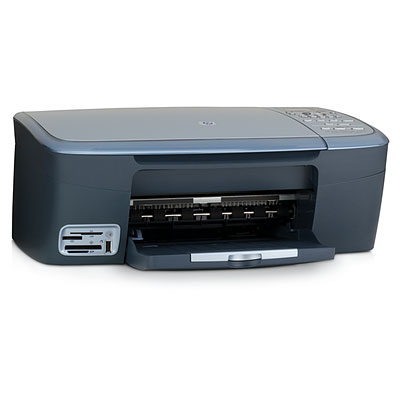 The HP PSC 2355p is actually a fairly compact item, and one which will fit nicely into a wide range of spaces. Simple and rather subtle colour schemes finish off this small but nicely formed printer and the user interface is also easy to operate. It might not win any awards for design in fairness, but there is nothing on such a level to complain about with the HP PSC 2355p. If you choose to purchase a HP PSC 2355p, you can expect to enjoy such benefits as speedy print outs, quality results and politely straight forward physical set up. Printing should be easy, and with the HP PSC 2355p, it really is a very simple and understated process. Finding fault with any printer can seem a little mean spirited but thankfully there is not much to complain about where the HP PSC 2355p is concerned. This is a printer which is affordable, simple to keep updated and one which can produce some hugely impressive print outs. However, as this is something of a budget model, you probably shouldn't expect the HP PSC 2355p to be invincible.